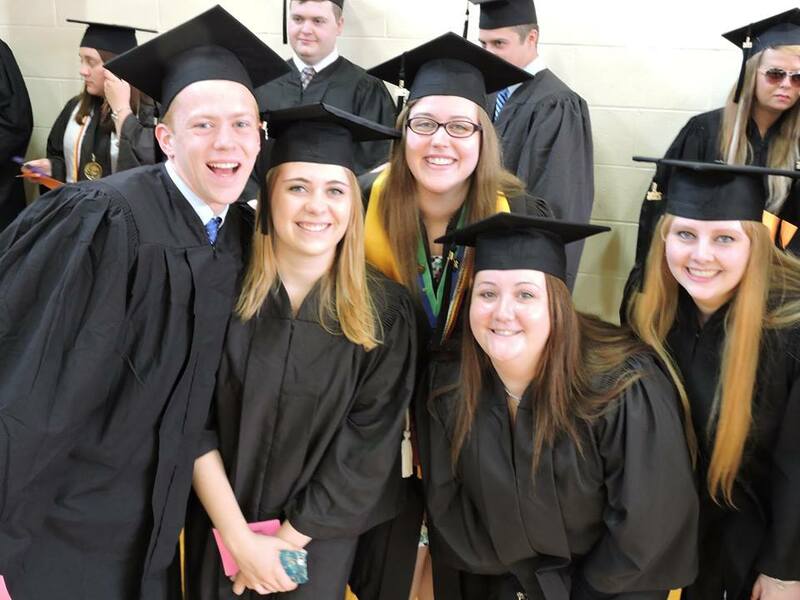 VC students on their graduation day! 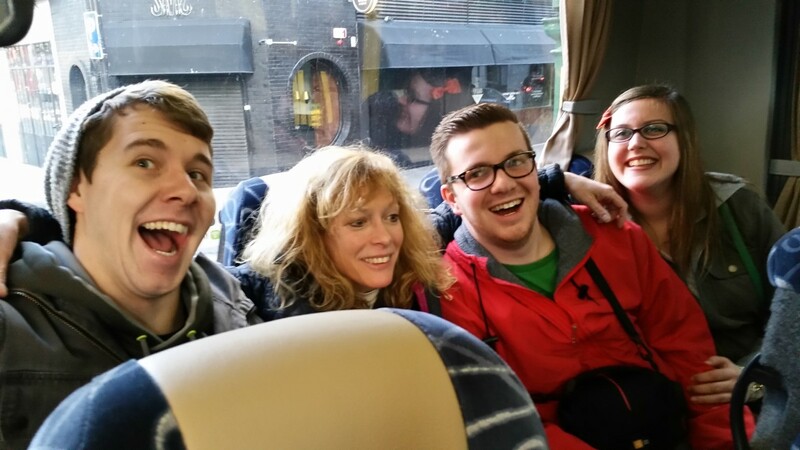 The Back of the Bus - Students visiting Ireland March 2015 Check out our trip website at www.CaztoDublin.com! 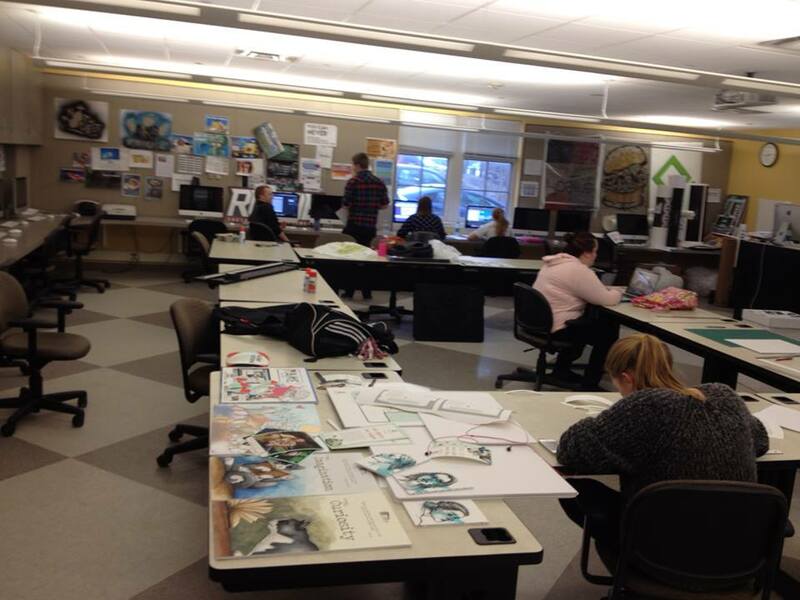 If you think Visual Communications students do everything on a computer, you haven't been around Room 119 the week before the Senior Exhibition...! 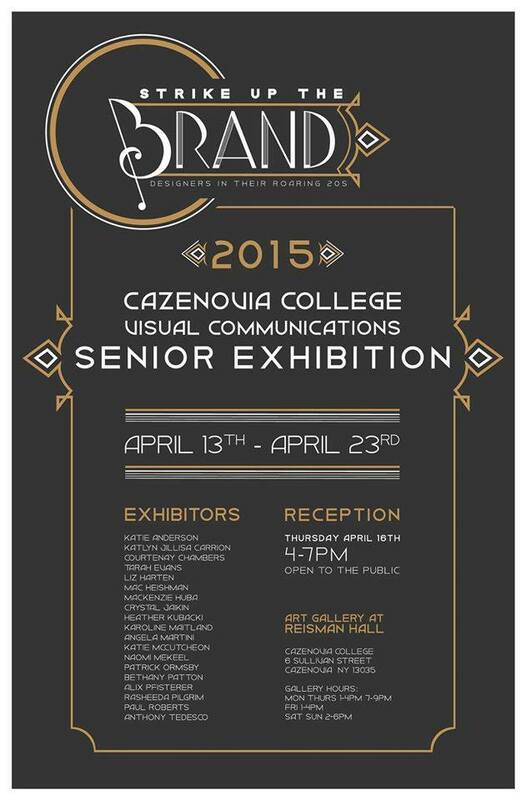 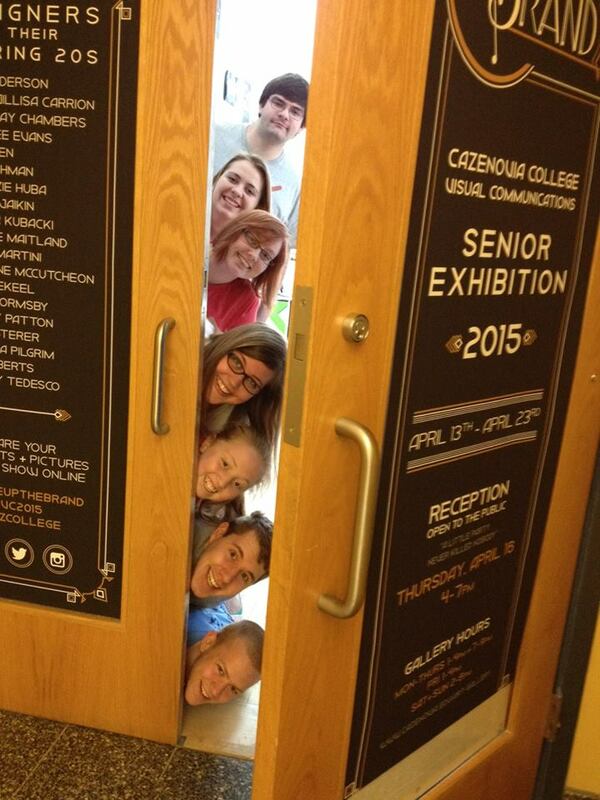 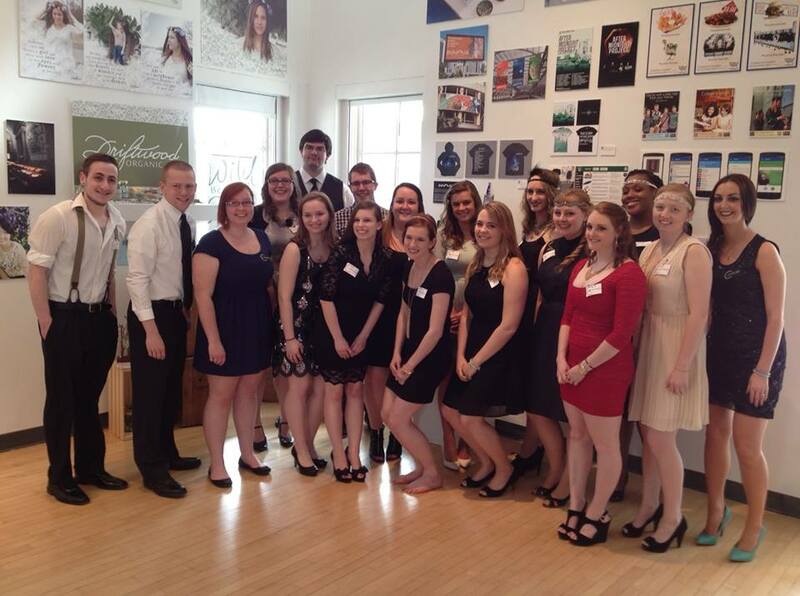 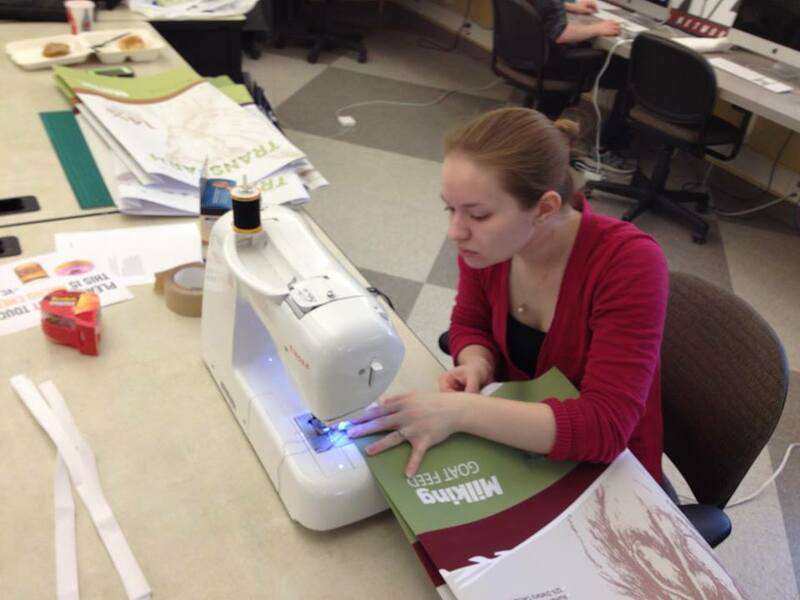 Visual Communications students getting ready for their Senior exhibition! 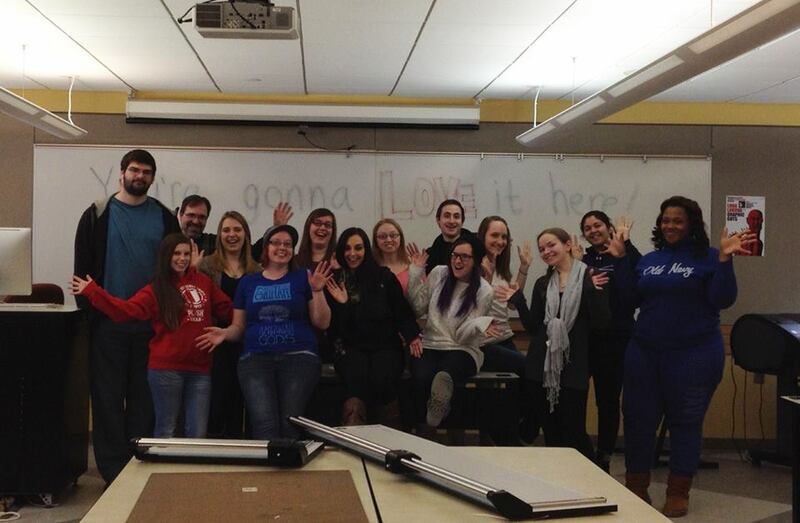 The VC101 Cartooning & Humorous Illustration (First Year Seminar) class shows off their caricature shirts.